This truly natural cream is the epitome of Green Beauty. Made the traditional way, with no modern emulsifying waxes, so this is a true oil + water Cold Cream. Made to deeply nourish, but soak in easily when applied as a face cream. Doubles as a creamy oil-based cleansing cream as well. No matter how you choose to use this cream, you can feel good about the food-grade + Organic ingredients. Excess Oil + Sensitivity + Redness + Breakouts + Clogged Pores + Makeup Removal and Cleansing in One Step! This cream is one that never ceases to amaze me. It is one of those products that has so many uses that I always have it with me. I use it as my face cream during the day, a thick layer as my night cream, to remove makeup, on my dry hands, all over my body as a moisturizer, under my eyes, and even my lips in a pinch. My love of all things beauty began long before high school, but it was in high school that I was introduced to Theater. Theater, more specifically the makeup, enthralled me. I transformed my classmates using mere powders and creams. i loved it and so did they. That was, until the end of the night when it had to be removed, so our quarterback didn't have raccoon eyes in Geometry. This was when I discovered Cold Cream. This was the stuff from the grocery store, packed with chemicals and wreaking of artificial rose... but, even this was game-changing. Cold Cream was gentle, but removed all traces of makeup. Even better, it wasn't like the wipes or washes that left skin tight. I could give the guys a glop of cold cream and a face cloth, confident they would be able to remove everything. It was the gentle versatility of Cold Cream that first enamored me, but this recipe goes beyond those of my teens. When I was able to craft my own, I did so using only the finest and most pristine Organic ingredients. This cream is a little thicker, and perhaps more finicky than the store-bought cream of my youth. That being said, I know that what I am using is truly safe and doing only good for my skin. This little cream won't clog your pores, but packs a punch of nourishment and antioxidants. No emulsifying wax. This cream is 95% RAW INGREDIENTS and a small percentage Essential Oils and Radish-based preservative. Emulsifying wax can actually leave skin MORE DRY when rinsed off. It has one job, emulsify oil and water. While some creams may feel silky when applied, the e-wax (cetyl or ceteryl alcohol) can actually leave you with clogged pores and drier skin in the long run. Make no mistake, unlike commercial Cold Cream, this Cold Cream is the most natural and effective moisturizer you can get. Safe for all over your body + face. Great for children and an ideal moisturizer after serums. Many "Natural" moisturizers still contain Emulsifying wax, while it is derived from natural sources, it is also comedogenic. While it is much harder to make a cream using Candelilla Wax, I chose to make this as clean and safe as was physically possible. Both of my Vegan Cold Creams are a rarity on the market and I am confident you will love this multi-tasking cream as much as I do. Cold Cream originated in Ancient Greece. A man named Galan made the first version with Beeswax + Rose Oil + Olive Oil. This simple emulsion offers skin a balance of Moisture + Hydration, as well as removing modern makeup. In honor of Galan, I have crafted a Vegan Cold Cream that offers all the benefits of moisture + hydration +makeup removal, without the possible negative of clogged pores. 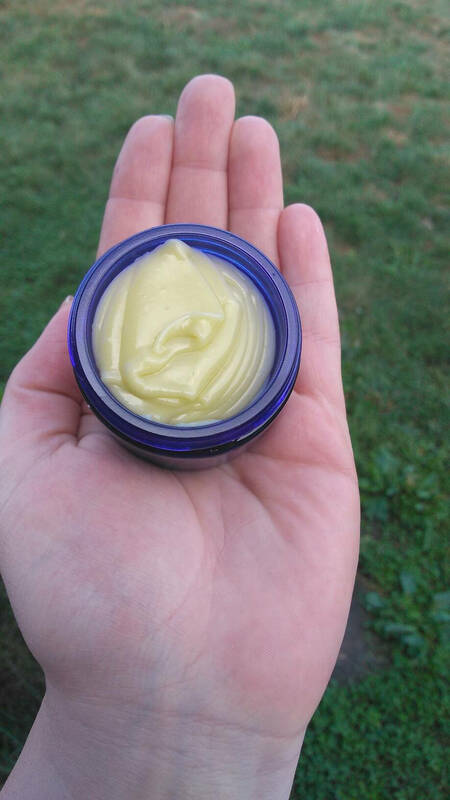 Organic Hemp Seed Oil gives this cream its green hue. It offers a Non-Comedogenic + Soothing + Omega Fatty Acid Rich base for this cream. Distilled Water is totally pure and helps make this cream and effective one-step cleanser + perfect moisturizer for sensitive skin. 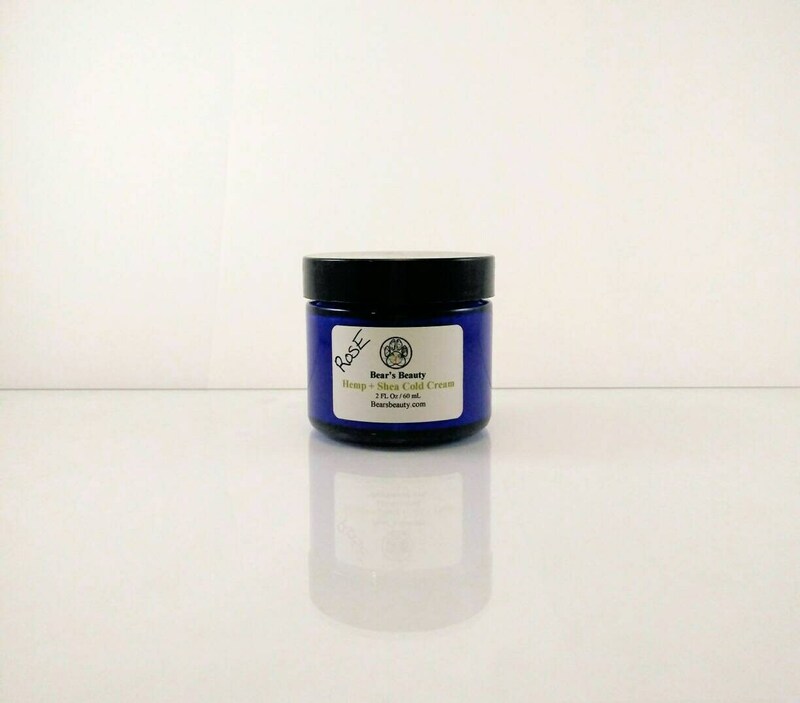 Vegan Candelilla Wax lends thickness as well as makes this cream Vegan. Ingredients like Glycerin and Essential Oils can irritate sensitive skin, this is a great choice for those who want to avoid Glycerin. 6 months - You can leave this on your bathroom counter, but be aware of any changes in texture, smell, or appearance. 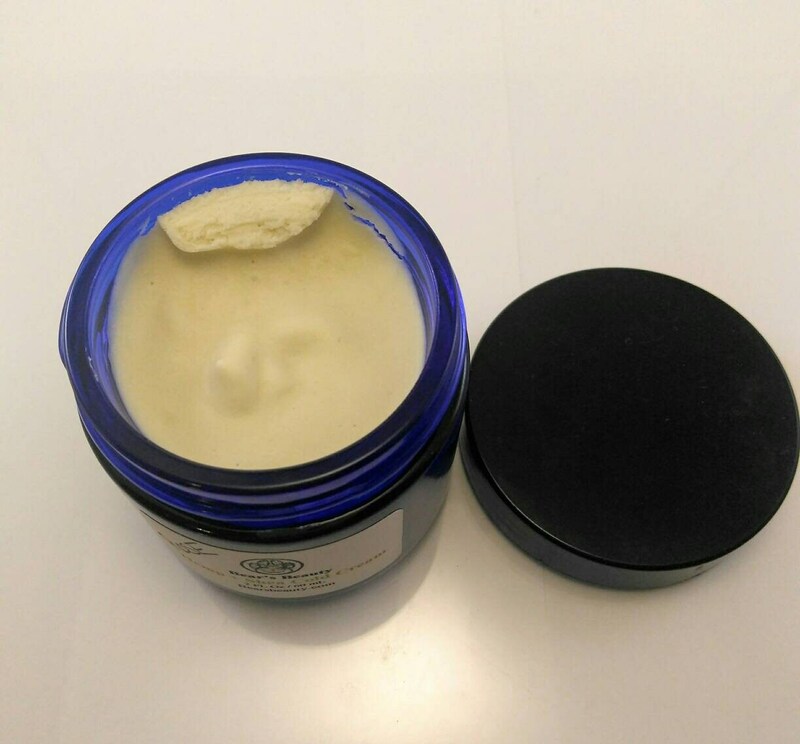 The texture of this "cream" is borderline balm texture in cold weather or out of the fridge. The wax that helps combine the oil and water without need for an emulsifier is also what makes this slightly hard. Thankfully, you are a warm-blooded human, and this melts easily with body heat. So, scoop out the amount you need with the provided tool and plop in your hand, screw on the lid, and then warm between palms. You will see some droplets of water occasionally, this is literally the little pockets of moisture whipped into the oils, cool! Massage for 3-5 minutes until makeup is broken down. Remove with dry or damp cloth, microfiber is my personal favorite, but muslin or very soft cotton is fine. Always use a clean cloth, and wash cloths with plant-based soap. Moisturize – Apply a thick layer to cleansed skin before bed, or a ½ pea size amount any time to clean face + neck. May also be used on hands + feet + anywhere skin is dry.